It’s that time of year again – when the temperature consistently dips below freezing overnight and the days are getting shorter. And with the first snow of the season on Thanksgiving Day, there is the familiar need to warm the heads, hands, and hearts of those less fortunate in Lethbridge. We always accept clothing items for distribution out of our People in Need Bank (PIN Bank). 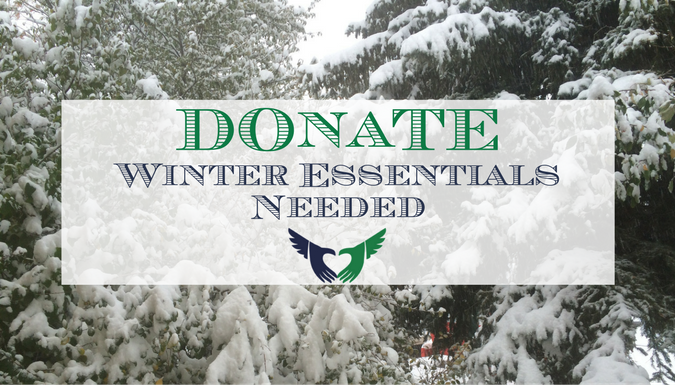 We gratefully accept donations at the Streets Alive Mission office, located at 323 4 St S, Lethbridge. The office is open Monday-Friday 9:30am to Noon, and 1pm to 4:30pm. Alternatively cash donations of any amount are always welcome. A $50 cash gift can go a long way with the help of our partner organizations. You can also drop a cheque or cash off at the Mission office. When the first cold weather arrives most of us reach into a closet and bring out our warm coat. If you don’t have a closet, like many of our clients here at the Mission, chances are you don’t have a warm coat either. Cold is cold no matter who you are, and the fact is we all have something warm in our closet we could share with someone in need. For more information, please feel free to call our office at 403-320-1159. We can’t say it enough, and we really do mean it – THANK YOU!